Lucky 7 Angus first calf heifers and their calves. 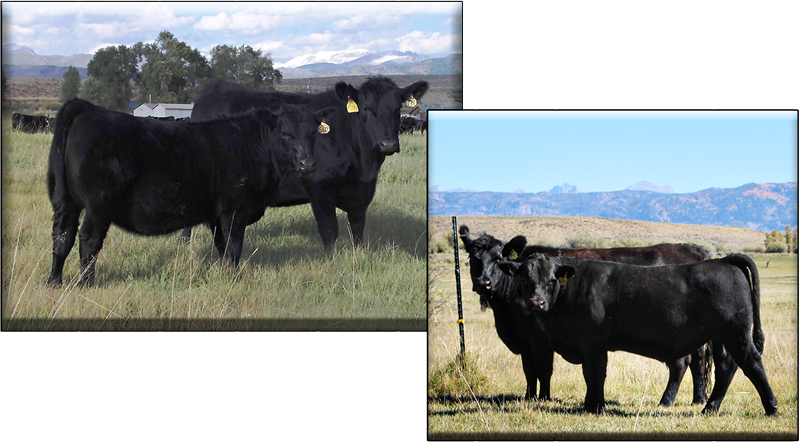 3rd, 4th and 5th generations of proven feed efficient genetics! We're not starving the profit out of a cow. We're creating cows that can SURVIVE and THRIVE on less. 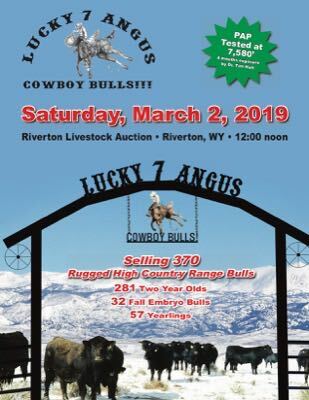 With the philosophy that genetics must be placed in harsher conditions than most commercial cattlemen, Lucky 7 cows and bulls are raised on large short grass pastures, up to 38,000 acres and above 10,000 feet in elevation. 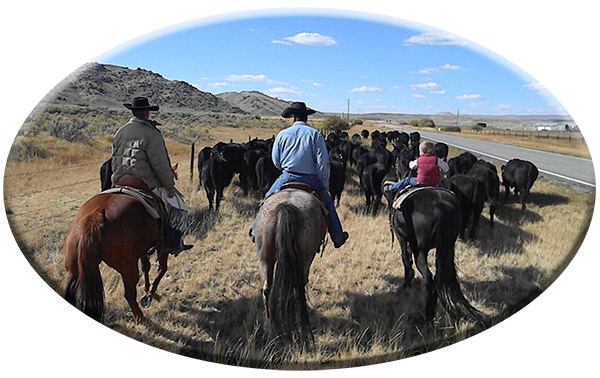 Emphasis is placed on structurally sound cattle with good feet and legs in order to travel and graze many miles. 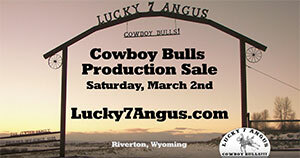 Lucky 7 Angus cows will have been trailed over 200 miles in rough, high elevation country throughout their lifetime. They must be easy to handle, good footed, pick up their calf and travel well. the Nation's Icebox, without additional feed. 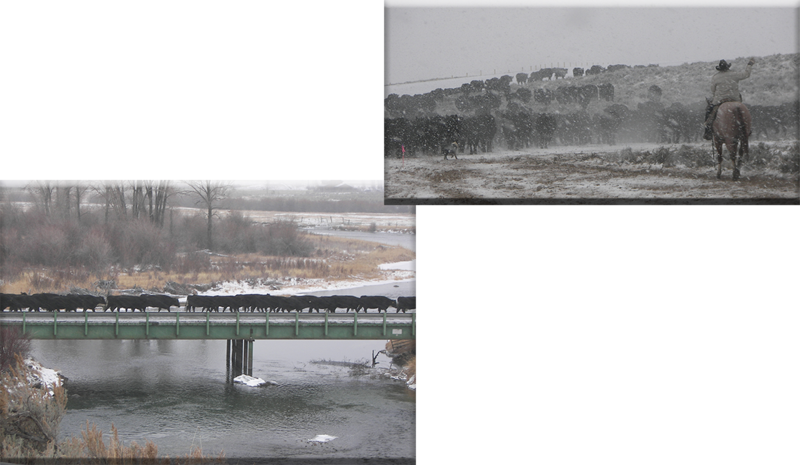 Growing heifers that maintain their body condition in sub freezing temperatures of pregnancy on 43% less feed than in NRC requirements and 15% less than 5 years ago. Profitability takes great management. 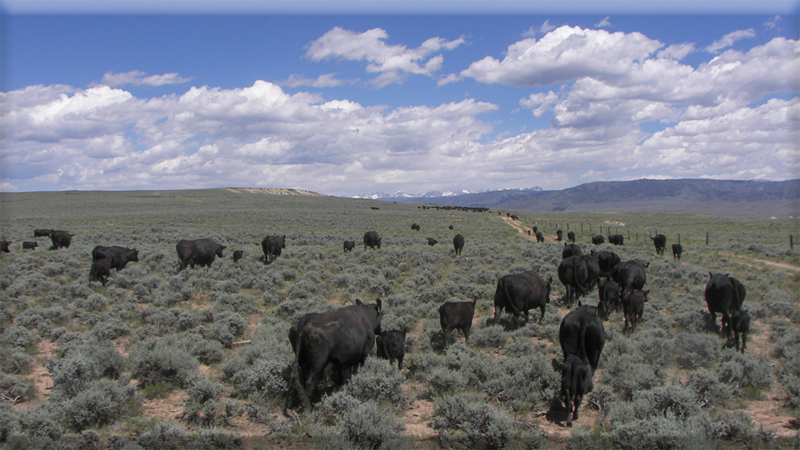 It always starts with a live calf and ends with being able to produce more pounds of beef per acre with less inputs. *Feed costs on a ranch more than double all other costs combined. 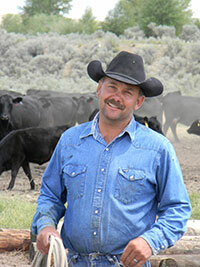 *40% better feed efficiency in your cowherd equals the ability to run 40% more cows on your ranch. 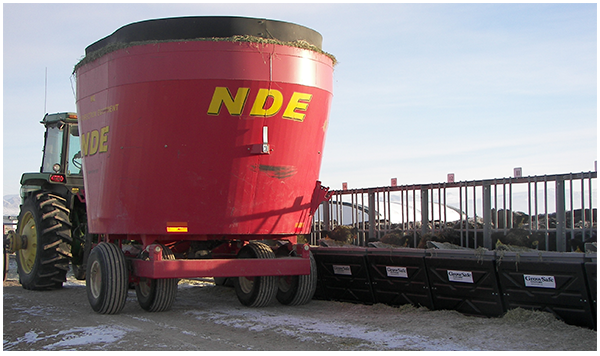 *40% better feed efficiency equals $325.00 per head more for your calves. 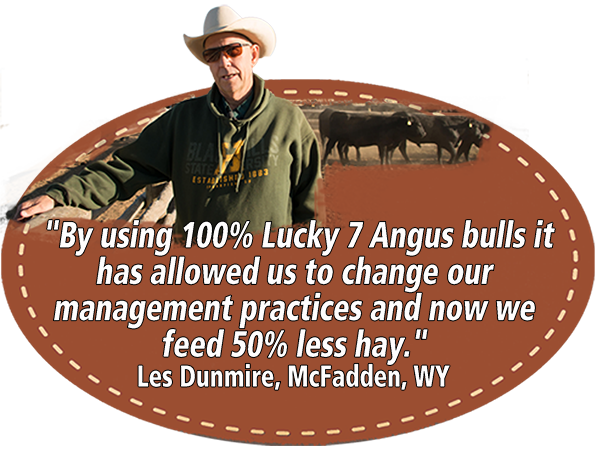 As the industry leader, Lucky 7 Angus is committed to perfecting feed efficient genetics thereby driving costs down for you, the producer. 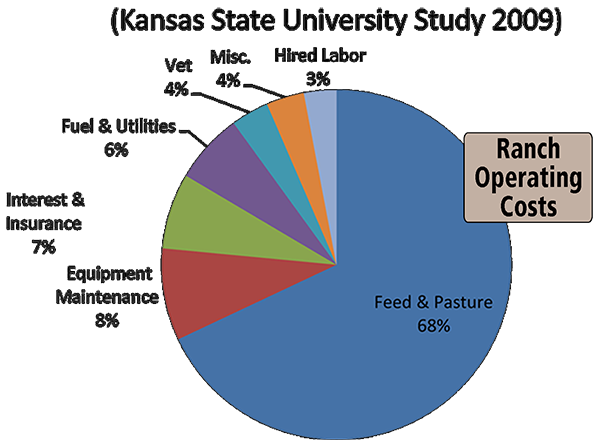 According to a University study feed costs account for 68% of a ranch's operating costs. Years ago, we started feeding every animal on the place by using big vertical mixers with scales. 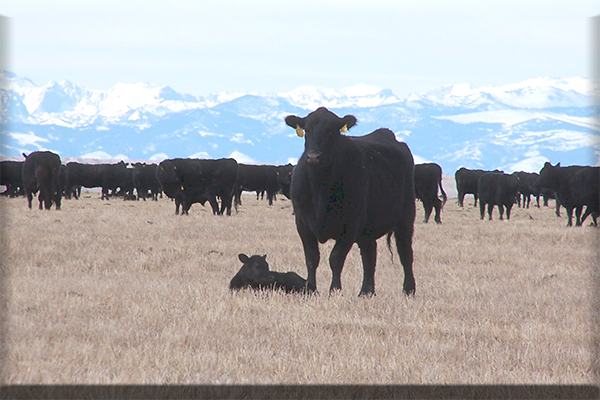 We know the exact amount of feed our cattle can survive on today, yesterday and 15 years ago. By adding the "GrowSafe" Feed Intake Monitoring System we know our genetics are feed efficient because we have the data to prove it. The data alone shows we save $159,956.25/year in feed cost from what it was 10 years ago. No other seedstock producer can boast these facts! Bulls sell in their working clothes. They will not be clipped nor will they ever have a hoof trimmed. 2-yr old bulls in massive grow yard fed a 42 Mcal ration that is 92% roughage. We limit feed this ration to control gain. We put our seedstock animals to the test day after day, 365 days a year, year after year in harsher conditions than any competitor. 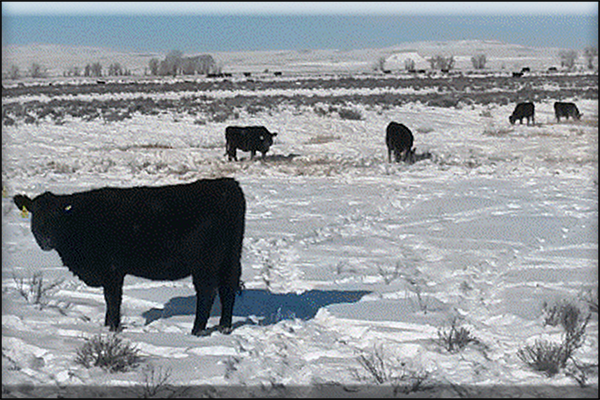 The bulls hold up better, last longer and know how to survive in harsh environmental conditions. 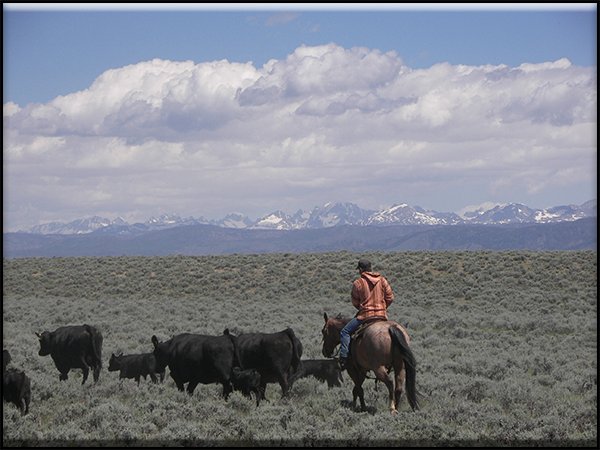 Because we put our cattle to the test, we are confident they will work! Sale First Saturday in March! 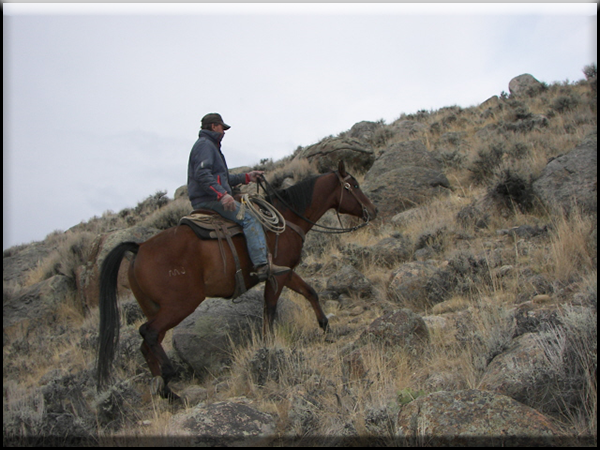 "Even though we are a five generation family ranch, we understand that to stay in business we have to become better businessmen. 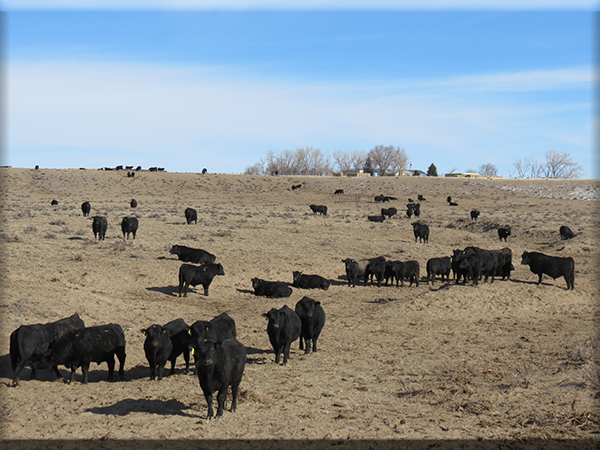 Live cattle futures and corn futures will control how much your calves are worth, and you need to understand their importance."